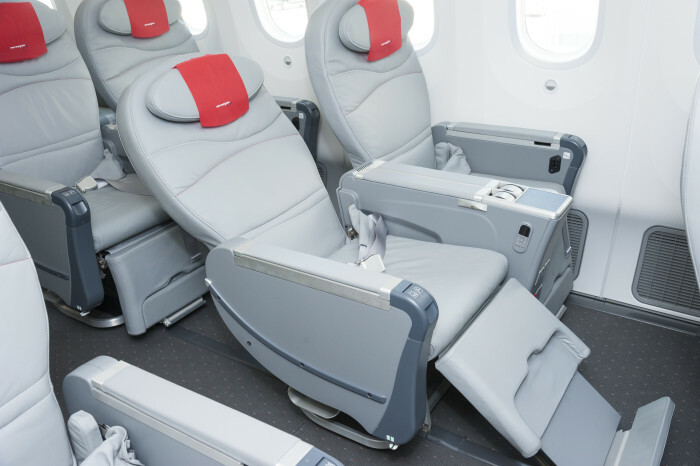 Low-cost airline, Norwegian has introduced new competitive fares for the airline’s Premium cabin on its award winning low-cost flights to the US. Passengers can now benefit from a more affordable enhanced travel experience with fares newly reduced by up to 30%. Norwegian’s Premium cabin is in a class of its own, offering passengers an enhanced service and extra comfort at greater value when flying transatlantic. From Gatwick, Premium passengers can check in two 20kg bags, benefit from fast track security, No1 lounge access and priority boarding. Premium passengers are also welcomed on board with complementary soft drinks, receive spacious leather reclining seats with 46 inch legroom and are served premium meals and unlimited beverages – all aboard the brand new 787 Dreamliner. Premium is available on board Norwegian’s state-of-the-art Boeing 787 Dreamliner aircraft which reduces the effects of jet lag due to a lower cabin pressure. The Premium cabin has 32 seats on the 787-8 Dreamliner and 35 seats on the larger 787-9 Dreamliner. From 31 October, Norwegian will launch brand new twice weekly low-cost flights to Las Vegas where Premium is available from £499. The US city becomes Norwegian’s eighth long-haul route from Gatwick in addition to New York, Los Angeles, Boston, Oakland-San Francisco, Orlando, Ft. Lauderdale and Puerto Rico – which resumes on 2 November.